Since its foundation in 1994, Corsair has grown from pioneering the high-performance DRAM market into one of world leading providers of enthusiast-grade PC components and peripherals. They are regularly featured in the elite dream PC builds and have earned the adulation and respect of the press, professional gamers and overclockers, high-end system integration specialists and PC enthusiasts worldwide. By delivering leading-edge technology backed with renowned service and support, Corsair are a brand to be reckoned with. 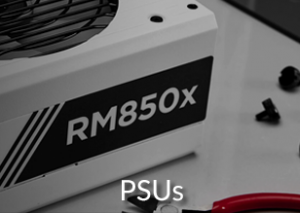 Check out the superb range of liquid cooling solutions, PSUs, Fans and Memory. 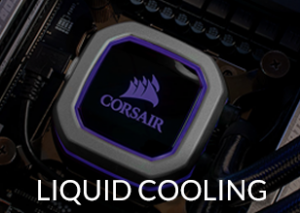 Check out the latest liquid cooling solutions, including full CPU cooling, radiators and cooling fans. Whether you are a computer enthusiast, system builder or casual user, we have a huge selection of power supply units. 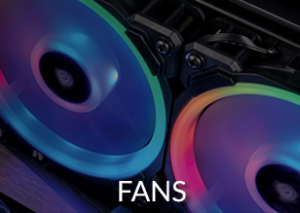 With the addition of new RGB fans, you can now customise and sync your entire rig. 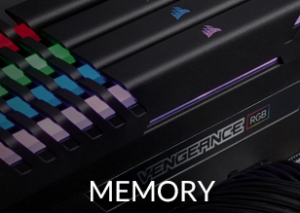 Choose from the latest memory modules, including the renowned Vengeance series.